The LEGO DUPLO world has expanded by seven building sets. With a variety of game themes and new features, children’s bedrooms will soon be seeing colourful funfair stalls such as the “coconut shy” and familiar Disney characters à la Micky and Minnie. 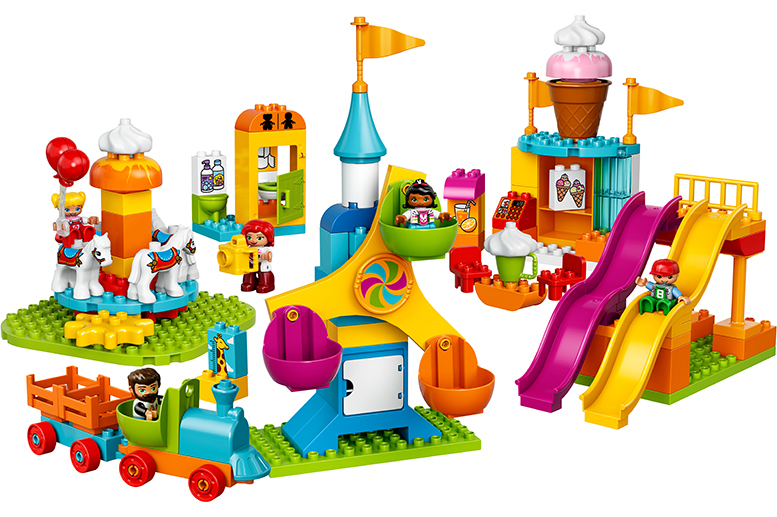 Have fun at the fair with LEGO DUPLO’s “Big Fair”. 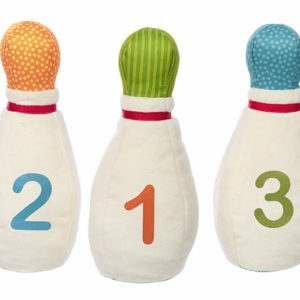 With numerous functions, the set is intended to support and playfully encourage children’s motor skills. For example, there is the “learn-to-turn” gear function to turn the carousel or the three-carriage Ferris wheel. At the “coconut shy”, young LEGO fans can test their accuracy with the throw function. The goal is to hit one of the three colourfully decorated stones to win the main prize. More fun comes in the form of the play figure family, who slide down the double wave slide. The fairground is completed with a train with a carriage, an ice-cream stand, and a toilet building. From September, there will be three new LEGO DUPLO sets with the theme from Disney!Pixar Films Cars 3. The “Piston Cup Race” includes the three cars: Lightning McQueen, Jackson Storm, and Luigi. The set includes a winner’s trophy decorated with gemstones in the shape of flags. The second set, “Hook’s shed”, provides all sorts of surprises for children aged two and up. The tow truck Hook can be assembled in an age-appropriate way and provides many details such as an oil can and two traffic cones. The cars can be refuelled at “Flos Café”. With “Micky’s racing car”, this set is off to a great start. The LEGO DUPLO figure Micky Mouse can be used in the race car and in the car at the petrol station. In “Minnie’s Boutique”, the child can play creatively, decorating and redecorating to their heart’s content.